Pictured above is the Klein Curacao Lighthouse. This 66 ft. masonry tower was originally built in 1849 on an island about 7 miles southeast of Curacao. The tower was completely destroyed by a Hurricane in 1877. It was rebuilt in 1879 and then again in 1917. Today, all that is left of the Klein Curacao Light are the monumental ruins of what was once the keeper’s quarters. Even the tower itself has succumbed to the natural elements and is slowly deteriorating. However, because of its importance to ships frequently navigating the treacherous area (the island is flat and surrounded by very strong currents and unforgiving northeast winds), in 2008 the decaying tower was equipped with an LED light, which is powered by solar energy. This lighthouse is not the only abandoned beacon that still warns and guides ships through precarious waters. Below is the Great Issac Light. Made of cast iron and standing 152 feet high, this lighthouse was built in 1852 as a showpiece for the Great London Exposition. Seven years later, it was disassembled and then reconstructed on a small rock island located about 20 miles northeast of the Bimini Islands, Bahamas. After being unmanned and decommissioned for over 9 years, it was fully automated in 1969 in order to continue shepherding mariners through the tricky currents of the Carribean Sea. There are several other retired lighthouses that even though they no longer appear attractive or are on a Preventative Maintenance schedule, they still host an automated flashing light warning seafarers of surrounding dangers. Similarly, there are many men and women (lighthouses for God) that may no longer appear to be strong or fit to fulfill their call to go and make disciples, but who can still shine as stars in the world (Phil. 2:15). Their lives serve as a testimony that emits the soul-saving light of Christ to a world in spiritual darkness. Sometimes, emotional and physical limitations due to sickness, birth defects, accidents, past failures, or the inevitable results of aging may cause some people to think that they are purposeless and/or incapable of shining for Jesus. In other words, they may feel broken and “inoperable,” but this could not be further away from the truth. I have written a few devotions that remind us that the light we shine is technically not our own, but it is the light of Christ, the light of HIS salvation (read This Little Light of His). I’ve also addressed the fact that we can continue to shine His light until the very end of our days in spite of our age and/or other challenges in life (read Still Standing, Still Shining and Like The One-Armed Keeper). I even wrote a devotion on the positive side of brokenness (read Brokenness Brings Strength). We have to understand that unbelievers are not the only ones who sail through the dark and stormy seas of life without direction and without hope. Even those whose captain is the Lord can, at times, drift away and find themselves navigating aimlessly on their spiritual journey. For that reason, we must realize that our light can never go out. Even if there are times when our own light grows dim as a result of focusing more on our battles than on Calvary’s victory, we need to remind ourselves that we shine not for our sake but for the sake of others. For the sake of those who are unaware of the power of the cross and for the sake of those whose faith may have weakened as a result of life’s troubles (read When You Are Needed The Most). Just like the Klein Curacao and the Great Issac Lights, our proclamation of the message that saves souls, heals broken hearts, and offers eternal hope does not depend on how we feel, or look for that matter, but on how strong we stand on our foundation (faith). We must continue to shine regardless of our educational attainment, where we are physically, socially, spiritually, and regardless of how we are perceived (judged) by others. Whether you are a fairly new or renovated lighthouse (believer) exhibiting a fresh coat of spiritual paint or one that has been around for a while who is now sporting a somewhat washed out or rusted facade, your light MUST remain shining continuously. As long as you have breath and are anchored in Christ you are commanded and commissioned to go and preach the Gospel and to tell others what the Lord has done for you (Mark 16:15 & 5:19). Remember, you can declare the wonders of God in a variety of ways. You don’t have to be a writer per se to pen your testimony and allow it to serve as an encouragement for generations to come. Nor do you have to be an eloquent orator to declare the Good News of salvation. You can simply guide others to the saving arms of Jesus by encouraging them with biblical truths, especially during difficult times. And you certainly don’t have to be a perfect “holier-than-thou” Christian in order to exemplify Christ. You must, however, commit to growing spiritually so that your light can shine brighter and more efficient as time goes by. You must also be unequivocally sure/convinced of who you are in Christ Jesus in order to believe that even the broken can shine! Prayer: Heavenly Father, by your mercy and grace I am and will remain strong in my faith. Regardless of the challenges I may face in life, let your light brightly shine through me so that others may see it and receive strength themselves. In Jesus name, I pray, Amen. So well said, brother Joe. I’ve been a pilgrim not for 46 years and the light keeps shinning in spite of the outside elements. And that’s a good thing! However, it becomes increasingly harder to let that little light of mine, to focus on the hazards, the rocks, the obstacles that are surrounding the keeper’s house in order. The generation gap in the churches continues to widen. Unless the structure is brightly painted, no bricks missing or labeled “Protected: National Monument,” it makes you want to move the Lighthouse down the road to shine where it’s needed. But the passion to shine is still there! THANKS, Joe, for the encouragement. Thank you, Mel. 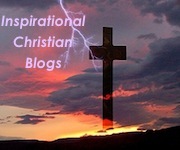 Your comments on my blog, your Word studies, and your inspiring nature posts are truly an encouragement to me as well. I totally understand your concern with the generation gap. But you know, even in the churches we have to keep shining. Not all the lighthouses that commune are properly lit. 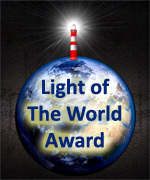 Many have a flickering flame while others shine their own light source. May the Lord increase your passion for His Word and may he strengthen you physically, emotionally, and spiritually so you can keep shining HIS glorious light! Thank you so much for your encouragement! Some days it’s hard to see myself as a Lighthouse to others but by God’s grace I will continue to do so as long as I live. God bless you. Amen, Tanya! No matter the tempest, we stand on THE Rock of Ages. And as long as we stand we will shine His light! May the favor of the Lord rest upon you and may His Spirit renew your strength daily so that your light shines continuously. Blessings, my dear sister.